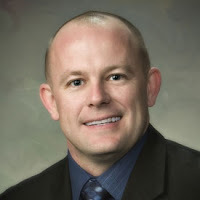 STATE CAPITOL, PHOENIX – Rep. Matt Heinz, D-Tucson (District 29) is urging the legislature to use surplus money to restore a health-care program that can save the lives of Arizonans who were kicked off and fell through the cracks. Two Arizonans cut from health care said Thursday they are fighting for their lives and hope they and Heinz can help thousands of others in the same situation. Inflammatory breast-cancer patient Bobbie Thayer and heart-disease patient Bill Nelson said that thanks to the elimination of the Medical Expense Deduction program, Arizonans with life-threatening conditions are struggling to survive. Thayer was unable to enroll in MED, a program designed to assist people who do not qualify for Medicaid but who suffer from an accident or catastrophic illness and whose medical bills put them below 40 percent of the federal poverty level. The program was closed to new enrollees on May 1 and terminated on Oct. 1. About 5,700 people were enrolled, and the number of Arizonans who would have qualified for it since its elimination is unknown. Heinz, a hospital physician, said he sees every day the toll health-care cuts have taken on Arizonans who no longer have coverage and in order to fix it, the MED program needs to be restored. State economists predict a surplus this year of $416 million (see story); the MED program was estimated to cost $70 million this year. The elimination of the MED program caused heart-disease patient Nelson and his wife, who suffered from breast cancer, to seek out all possibilities for health-care coverage, even a divorce. Heinz said he hopes that the majority of state lawmakers will see the catastrophic conditions, the strain on emergency rooms and how the cut to MED simply don’t make sense. “Republicans’ move to form a committee to prevent a fair redistricting process for voters is another partisan stunt to undermine the Independent Redistricting Commission and the will of the voters. “First, state Attorney General Tom Horne launches a bogus investigation on the IRC, then Congressional and state Republicans, along with Gov. Jan Brewer whine in chorus when the IRC attempts to level the playing field for Congress with four Republican districts, two Democratic districts and three as toss ups. Now Speaker Andy Tobin forms a committee to thwart the independent redistricting process. “Clearly, Republicans are unreasonably threatened by a fair voting process after holding control for more than 40 years. They know Arizona voters want and deserve better, and they’re scared because they’ve produced partisan bickering, not results. “Democrats also were never informed about this committee, and Tobin appointed the Democratic member without consultation from Democratic Leadership, a complete violation of protocol. This is the third time he has done this. STATE CAPITOL, PHOENIX – Rep. Debbie McCune Davis, D-Phoenix (District 14) will receive Children Action Alliance’s Jacque Steiner Public Leadership Award for Children on Friday in Phoenix. “We are thrilled to honor Rep. McCune Davis for her longtime commitment to children and families through her service at the legislature and the Arizona Partnership for Immunization,” said Dana Wolfe Naimark, president and CEO of Children’s Action Alliance. The Jacque Steiner Public Leadership Award for Children, in memory of the late state Sen. Jacque Steiner, is given to a public official who, through tenacious and courageous leadership, improves the lives and life chances of Arizona’s children, Naimark said. McCune Davis will accept the Steiner award at Children’s Action Alliance’s awards luncheon on Friday, Oct. 14 at 11:30 a.m. at the Wyndham at 50 E. Adams St. in Phoenix. McCune Davis also was nationally recognized this week with the Every Child By Two’s Immunization Champion Award for her efforts to immunize all Arizona children. McCune Davis, who has served 24 years as a state lawmaker, received the Every Child By Two’s award Tuesday in Washington, D.C. at the 20th Anniversary Gala for their organization, founded by former First Lady Rosalynn Carter and former Arkansas First Lady Betty Bumpers. McCune Davis, program director of the Arizona Partnership for Immunization (TAPI), has been influential in promoting immunization and preventive health services for all Arizonans through her work at TAPI. She has been on the ground floor of creating a statewide registry for tracking immunizations of children and adults. Democratic state representatives from Tucson will meet with parents this month to discuss education as part of Voices for Education’s Parent Leadership Institute. Rep. Daniel Patterson and Rep. Matt Heinz, who represent District 29, will discuss how the legislature affects public education. When: Wednesday, Oct. 26, 5:30 to 7 p.m.
"I'm thankful for this opportunity to talk with parents one on one about how we can work together to improve education in Arizona," Patterson said. "At the legislature, I see the harmful, massive cuts Republicans have made to our kids' schools, and I see those cuts first hand as a parent. Our kids deserve a quality education." Heinz said if legislators spent more time talking to parents and teachers, Arizona wouldn’t hold the title of last in the nation for education funding. Voices for Education is a parent-based education advocacy organization that works to improve the educational outcomes of Arizona’s students. For more information go to www.voicesforeducation.org. “Clearly, Republicans have easily controlled Arizona for decades without a level playing field, and it was made obvious yesterday when they joined in chorus to whine about fair and competitive Congressional districts. “The new Congressional district map approved on a divided vote by the Arizona Independent Redistricting Commission proposes a total of nine districts. Four of those districts are strongly Republican. Only two would favor Democrats. Three would be competitive toss ups. Do the math. “Democrats in Arizona are used to tough competition and we welcome it. Arizonans deserve maps that accurately reflect the population and give voters a real choice in every election. Politics should be removed from this process so that fair and balanced maps are created. We want fair and balanced maps that enhance competition and protect communities of interest.